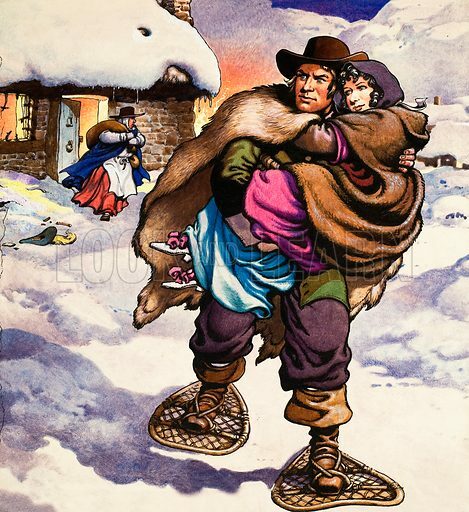 Famous Couples: Lorna Doone and John Ridd, from R. D. Blackmore's novel, Lorna Doone. Original artwork from Look and Learn no. 289 (29 July 1967; reused in no. 862, 22 July 1978). Available worldwide for immediate download up to 3,830 x 4,178 pixels.